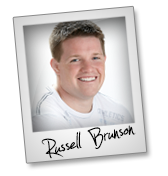 Welcome to the JVNP 2.0 Weekend Update featuring a JV request courtesy of fellow JVNP 2.0 Partner Russell Brunson (ClickFunnels – Expert Secrets book launch affiliate program JV invite), JV Newsflash (Brett Ingram + Mo Latif special weekend commission bump & tiered sales contest), Buzz Builders and More … in Today’s TGIF edition. We feel his new book, ‘Expert Secrets’, will change more lives faster than anything we’ve done in the past, and we’re sure that it can surpass the 100K mark in just a month’s time … but we need your help beginning April 18th through May 18th, 2017! You can earn big commissions giving away his book for Free (+shipping) by becoming a ClickFunnels Affiliate. This is super early bird notice, but we recommend getting on board now so that we can keep you posted with updates leading up to the launch to help you maximize your conversion, retention and overall sales potential (like our use of ‘sticky cookies’, etc.). >>> Affiliate registration details for experienced affiliates* can be found here. 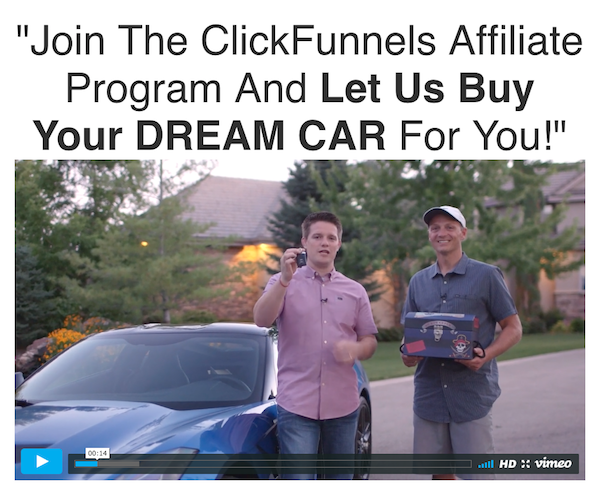 * If you’re an inexperienced to novice affiliate, please participate in ClickFunnel’s gratis Affiliate Bootcamp prior to registering to make sure you’re ready to make sales once the launch rolls around. Additionally, you’re welcome to promote any of our evergreen products/services in the meantime so you can start earning commissions while warming your audience up for the big launch on April 18th. >>> Please click here to get the ball rolling. Special, time sensitive updates involving currently active launches that we’d like to give you the inside JV line on. MASSIVE 60% commissions + $1,200 Cash PER affiliate Contest. Starts Friday 24th 00.01am EST till Sunday 26th 23.59pm EST. The entire funnel will be 60% for 3 FULL days. NEW $1,200 cash contest per affiliate. Get EXTRA Cash on top. * Based on FRONT END units only. >>> Here’s where to get the FULL update. VideoPal is the world’s revolutionary new software suite that encompasses stunning looking Animated 3D, Animated 2D and Human Spokespersons (Video Pals) and allows them to be added to ANY website (even sites you don’t own) in seconds to instantly boost sales, conversions and leads! $218K & 6,000+ funnel sales in just FOUR HOURS! Todd Gross + Paul Ponna – VideoPal Affiliate Request Page. AUTOMATED Software Gets Leads, Sales & Buyers On Demand 100% FREE. Earn Up To $435 Per Lead. $16.53 EPC. 23% Main Offer + 97.2% One-Time Offer Conversions. $12,500 In JV Contest & Cash Prizes. Brett Ingram + Mo Latif – Socimattic JV page. Version 1 = $1MM -> Version 2 = $800K+ -> Version 3 = ??? The New EasyVSL 3.0 is Launching on February 21, 2017 … Promote the #1 Best-Selling Video Sales Letter Creator with over $1.2 Million in commissions paid out to date! Visit the JV Page => Mark Thompson + Matt Callen – EasyVSL 3.0 JV page. Proven High Ticket Launch = Big Affiliate Commissions! => Check Out Aidan Booth & Steve Clayton’s Free 100K Factory Revolution Launch Plan Infographic! $200,000 prize pool. $2/lead in pre-launch. $1,248/sale commissions. ‘100k Factory: REVOLUTION’ is the latest iteration of the record breaking $9MM launch from April 2016. Get ready for your biggest affiliate payday of 2017! JV prizes, swipes & more details here => Aidan Booth + Steve Clayton – 100K Factory Revolution JV page. Earn Big Commissions from this rare ClickBank High Ticket Physical Product Promotion! Easy $290.00 Per Sale To You! Blockbuster NEW financial product. Starving Market in trading niche. Ultimate Profit Machine. Massive proof – never before seen product. Brand new $997 physical product – 30% commission. Pre-launch starts February 21st. Launch day is February 28th . This is a done for you launch. Learn more here => Toshko Raychev – Ultimate Profit Solution JV page. Earn commission by giving your audience access to the teachings of Alex Jeffreys, Tom Beal, Erik Stafford, Reed Floren, Stuart Tan, Felicia Slattery & other successful Online Entrepreneurs! Success leaves clues right? Now your list has access to top marketers who reveal their strategies to building real businesses online. From Alex Jeffreys to Tom Beal these are folks you have to listen to. It’s time to get real and build a business – MasterMind 1on1 reveals all. Pays 50% commission throughout the funnel. Richard Butler – MasterMind 1on1 JV page. The First Version of DE is Nearing 450K in Sales … Take Jamie up on his Early Bird Invite into the 2.0 Affiliate Program => the JV Page has been Completely Revised … Check It Out! DomainerElite launched in January 2016, and quickly became one of the most sought after solutions for finding and selling hidden premium domains, nearing $450,000 in sales through JVzoo. DomainerElite 2.0 is launching on March 6th, 2017. Need a high converting alternative for your list that will fit your current promotions like a glove while impressing your members? This is it => Jamie Lewis – DomainerElite 2.0 (Completely Revised) JV page. Nick Jones, Matthew Grzesiak, Mark Asher + Pat Flanagan and other fellow JVNotifyPro 2.0 partners are waiting in the wings … keep your eyes on your Inbox, and follow the action in the JVNP 2.0 Premium VIP JV Announcement archives.